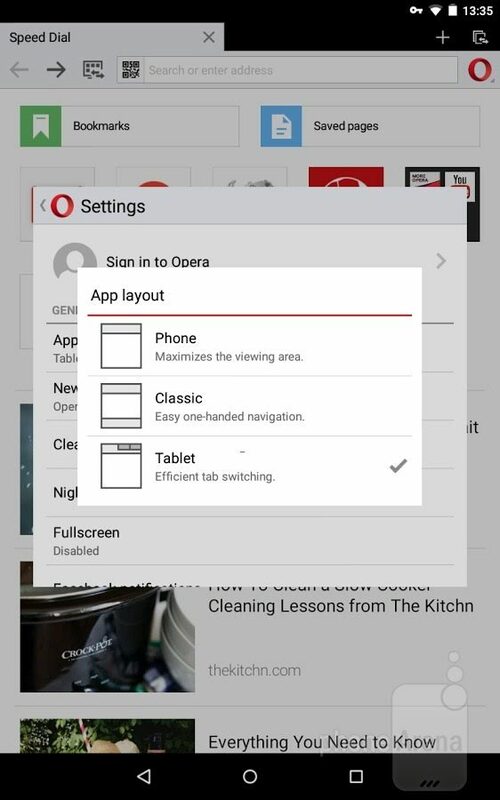 Opera boasted about adding a new feature to the popular browser's Mini version for Android. Following the latest update, users should be seeing less of the annoying video-buffering wheel that has become the hallmark of a painfully slow data connection. 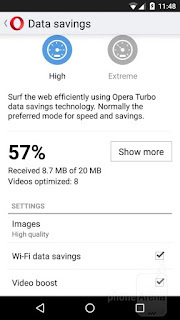 This is all due to the unique “video boost” feature, which intelligently reduces the size of video data to shorten video loading times and reduce buffering delays. By shrinking the amount of information transmitted, the feature will also extend the life of your mobile data plan. This will definitely come in handy, as according to a study by Conviva, viewers have very little patience for video interruptions. As many as 75% of them will abandon poor-quality, choppy video streams in four minutes or less, and 33% will do it within the first 30 seconds. Another study by Interactive Advertising Bureau research found that the speed of buffering is among the top-three most important factors for mobile video watchers. 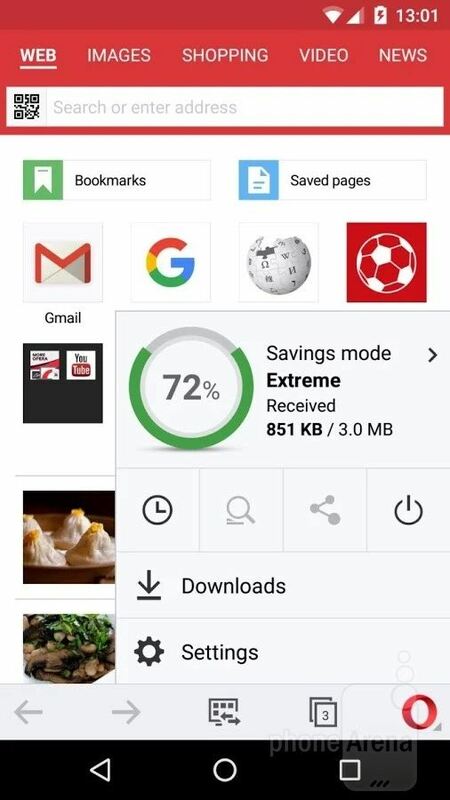 OPERA MINI IS THE FIRST BROWSER ON ANDROID TO GET A VIDEO COMPRESSION FEATURE.The feature is activated from the Savings Summary sub-menu under the "O" menu in Opera Mini 1.5. 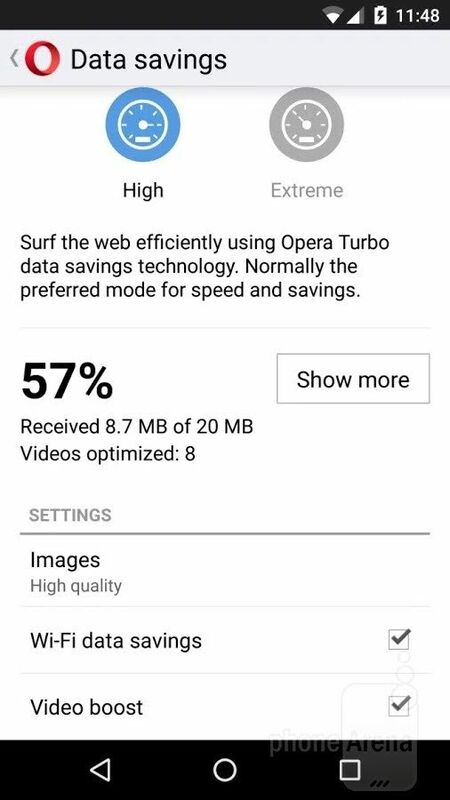 Tick the box beside "Video Boost" to switch it on, and you will also get to keep track of how many videos have been optimized. In addition to video boost, the browser has received more speed, savings and efficiency tweaks. 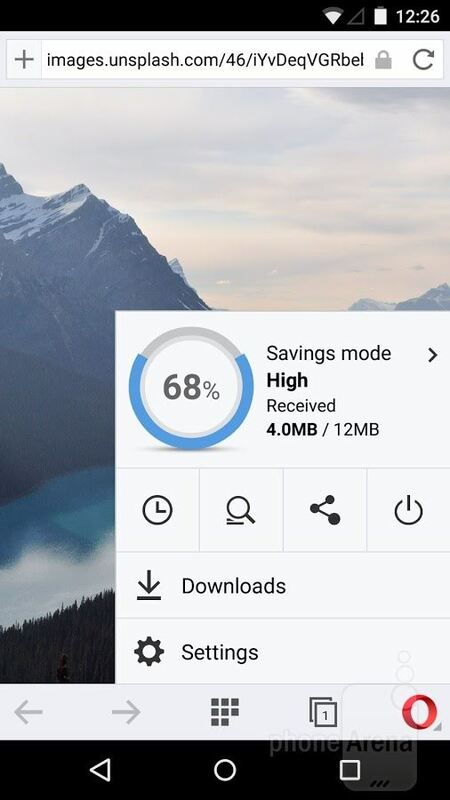 When in high-savings mode, Opera Mini automatically turns off data compression when it detects Wi-Fi so you can take full advantage of the speedier connection. 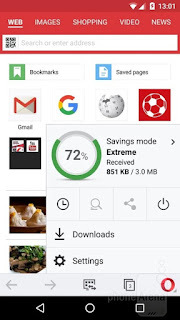 - Added "Save to SD card" for phones on Android 4.4.4 or higher. - Access your SD-card files when uploading on the web. - Included the "video boost" option to compress video. 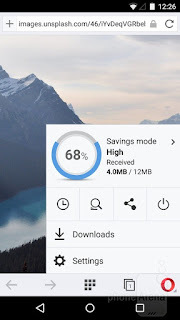 - Updated high data-savings mode so it can save data on Wi-Fi. - Improved fast scrolling, triggering a handle you can drag. - Added an option to shrink photos before uploading, with three different sizes. 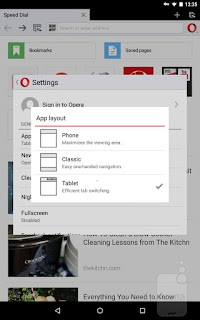 - Introduced automatic status bar color changes, to match the environment (for Lollipop and Marshmallow devices).